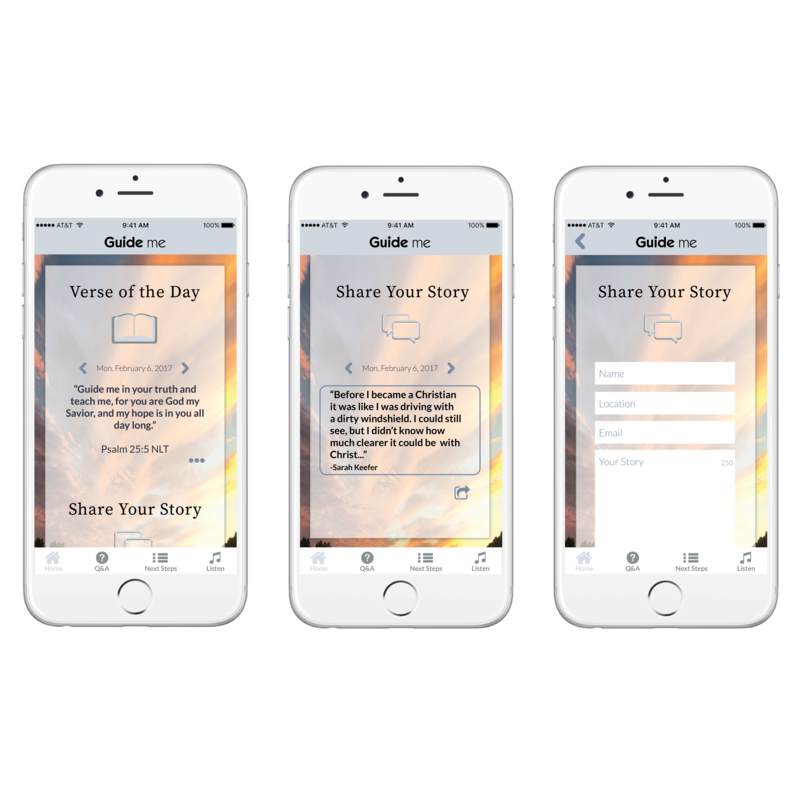 Guide me is primarily a mobile application designed for those interested in Christian type faiths; faiths that practice God and Jesus Christ. This interactive platform will be used as a tool to help someone who is searching and wrestling with God and Jesus’ existence; to help someone understand and accept God’s love. Guide me will provide users with a space that will allow them to pursue their curiosity, become familiar with God and Jesus Christ, and begin the process of connecting with them. This mobile application is meant to positively effect the individual.